Vistaprint Free Business Cards? Meh… Try 500 for $10 Instead! 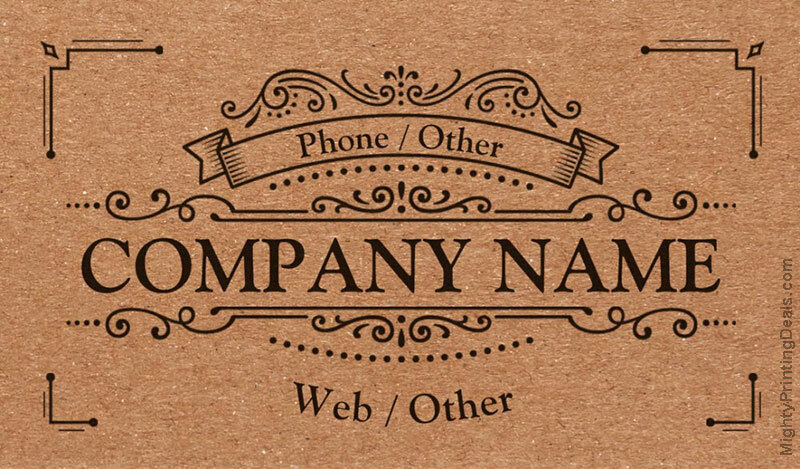 Standard business cards only $9.99 + shipping. Popular offer! Apparently there’s no such thing as a free lunch? 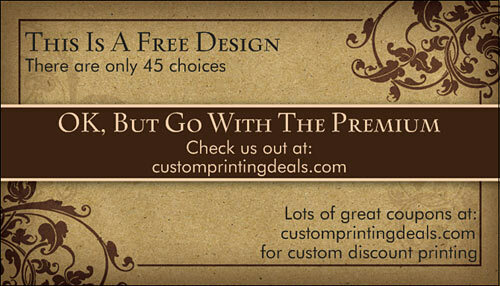 Ah, well said, Charles, and such is the case with Vistaprint’s free business cards promo code. Not only did you get “economy” quality, but you also had to pay for shipping. For years the free business cards offer was their signature promotion, and it really did wonders for their brand. The money they lost giving away free business cards surely was a good investment, as those losses paid for future repeat customers. When things are free, the quality usually suffers. If you don’t believe me, try going to the “free” admission day at the Baltimore Aquarium, (a crush of humanity) or try using match.com’s free membership. It’s usually a bad experience! 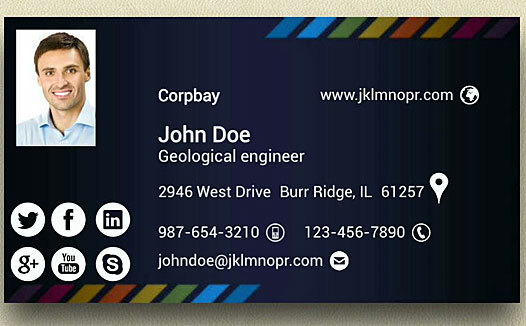 *Even with most upgrades or premium printing, you can still get 500 business cards for under $25. That’s only 3-5¢ each! Anyway, in this case you should gladly accept the up-sell you get on their site. skip the free cards and consider their 500 business cards for $10 deal. 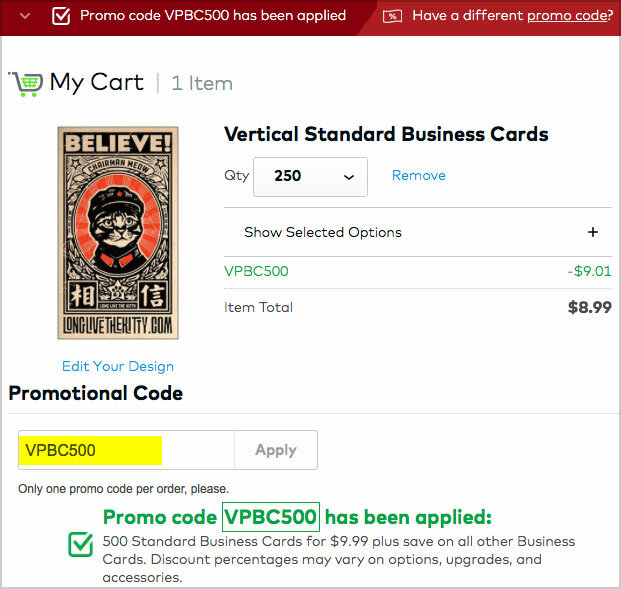 With shipping, it ends up being under $15 for 500 “standard” business cards. *You can read my review of the 500 for $10 deal here, or see coupons for Vistaprint Canada here. 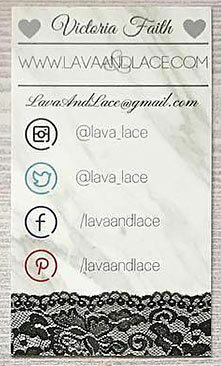 Looking to order a lot of business cards, (500+) but nervous about whether they’ll be exactly what you’re looking for? If you are in no rush, you can also request a free sample kit from Vistaprint that includes both free signature business cards and free brilliant finish business cards, plus a number of other free items. There’s also no charge for delivery, so this might be the only real, “free business cards” option. 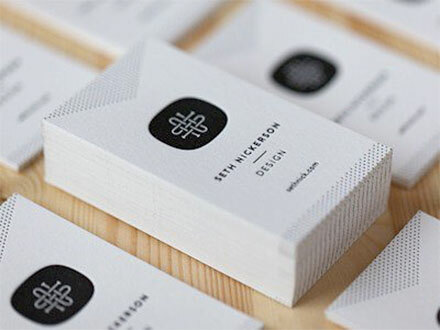 Business Cards Tip: Choose the Right Paper Stock! On top of being printed on thinner, 14pt. 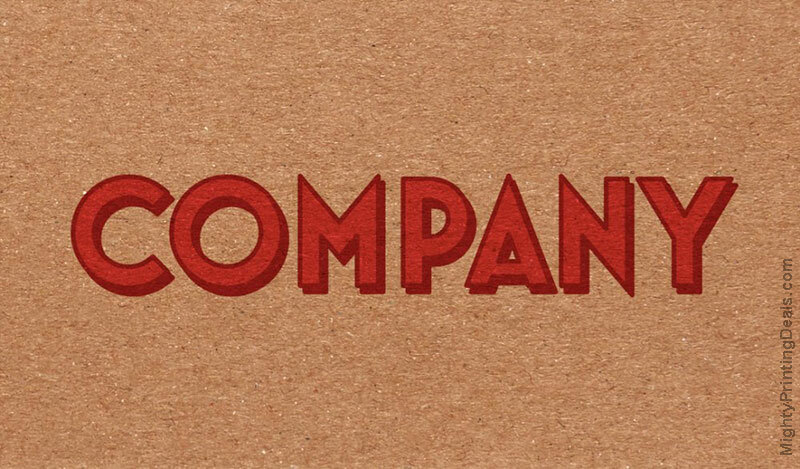 paper, the free business cards also give you very limited design options. You’re also limited in options for upgrades for the free or economy business cards and can’t choose extras like rounded corners, or spot gloss. Do you still need reason’s to skip their free business cards promo? Actually, you might find a use for them in other creative ways. Like as tickets for an event or something. Or, maybe you print them for your kids’ lemonade stand? Update: Well, Vistaprint no longer even offers a “free” option, which is actually a good thing. Go with the 500 for $10 promotion instead! I just searched for similar promotions, and there are no longer any printing companies that offer free business cards. Not even with a promo code. I estimate Vistaprint must have lost $3-5 every time someone used their free business cards promotion, so it was purely an investment to get repeat customers. This is similar to the business model of buying printer ink and razor blades. Well, no other printing services dare try to match this offer, so kudos to vistaprint.com for having such a long run where they actually delivered on their free business cards promo! This entry was posted in business cards, vistaprint and tagged business cards, free, vistaprint on March 15, 2018 by kevin. Ideas & inspiration for creating a memorable business card: Let’s face the facts here: if your business card is bland, it could “accidentally” end up in your potential employer’s garbage bin on top of their leftover lasagna. And we all know that the lasagna wasn’t appetizing if there are still leftovers from last week. 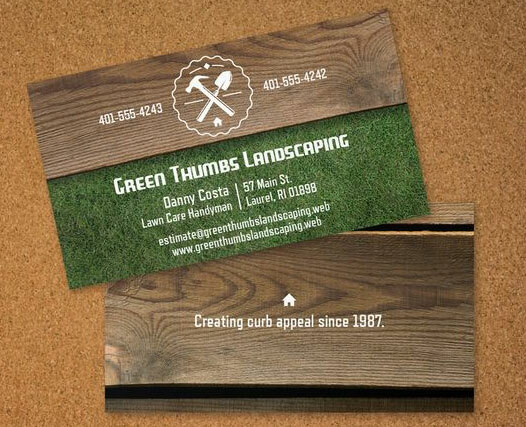 You want your business card to stand out; even if it only has the dimensions of a standard printed card that is 3.5 X 2 inches. 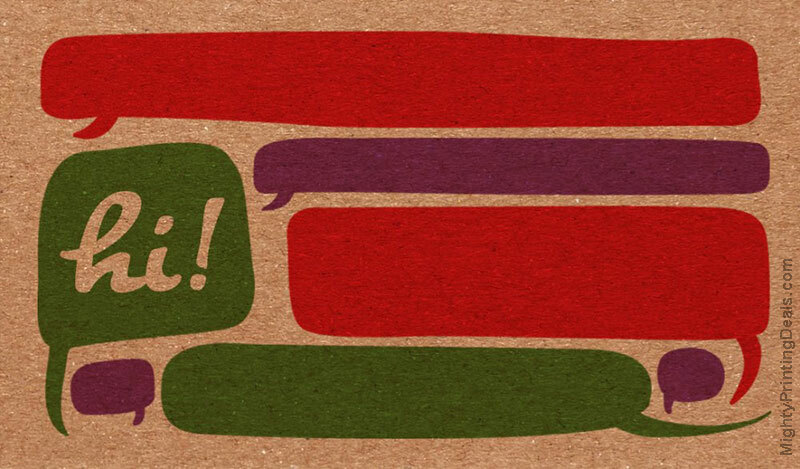 Allow every word, blank space, color, shape, and font to add meaning to your overall personal brand. 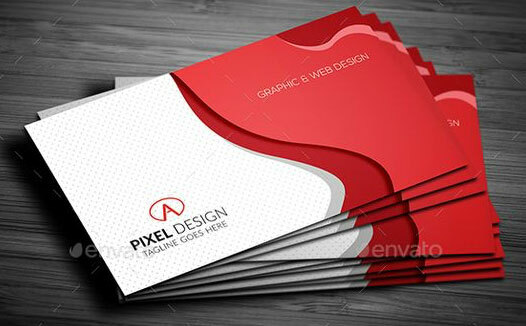 Your business cards should be professional and represent the quality of your work. So, don’t get caught with a business card that appears to be designed by your three-year-old niece who speaks English as a second language. That’s one way to diminish your credibility in 0.2 seconds. 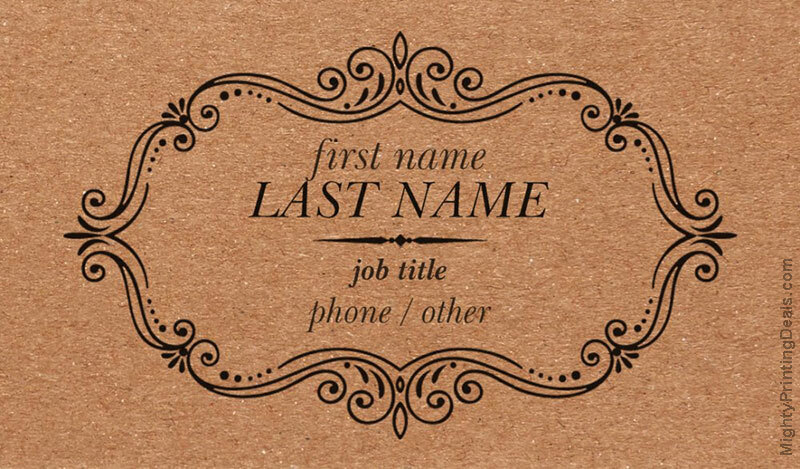 Small Fonts Won’t Work on Business Cards; Be Bold! Don’t make your business card recipients find the nearest magnifying class just to read the font. Select easy-to-read fonts. Vistaprint has templates that have preselected font types and sizes so you can preview your entire design as a proof online before ordering. Just be sure the type is clearly legible, even if tacked to a bulletin board. Remember to export it at high-resolution, and know whether to export it at CMYK or RGB, depending on the printing service. Getting the color mode wrong might cause colors to shift unexpectedly. 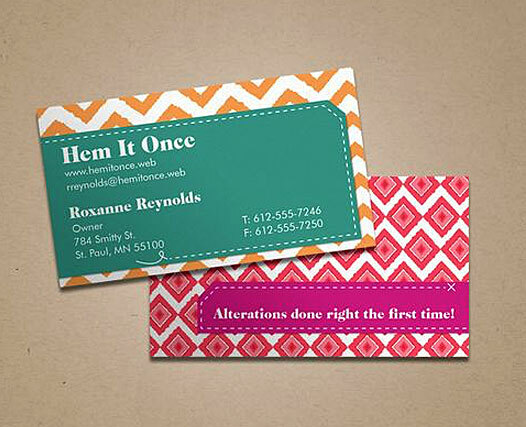 *Get 500 business cards for $10 + shipping at vistaprint.com – That’s cheap! Let’s say your business card is your personal real estate. How are you increasing your value by utilizing your space? 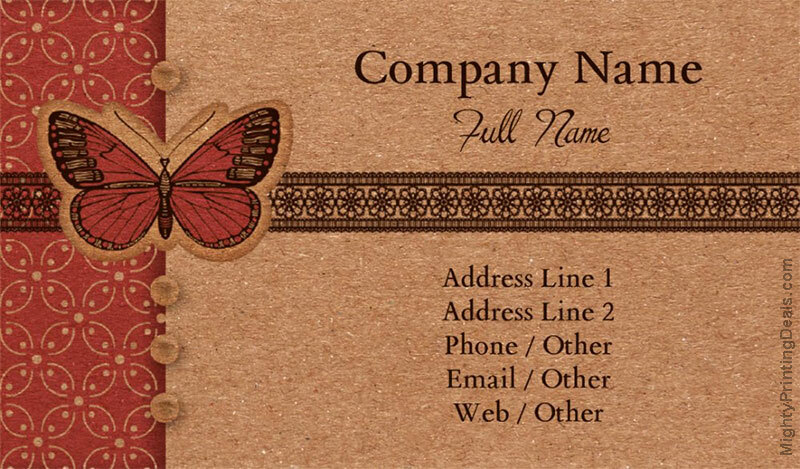 Don’t leave the back of the business card blank; make sure that your business card makes a compelling statement no matter which side of the card viewers are looking at. Idea: When designing business cards online, consider adding a powerful quote that ignites curiosity. Translate your cards to another language if you do business in other locations. Include a call to action. 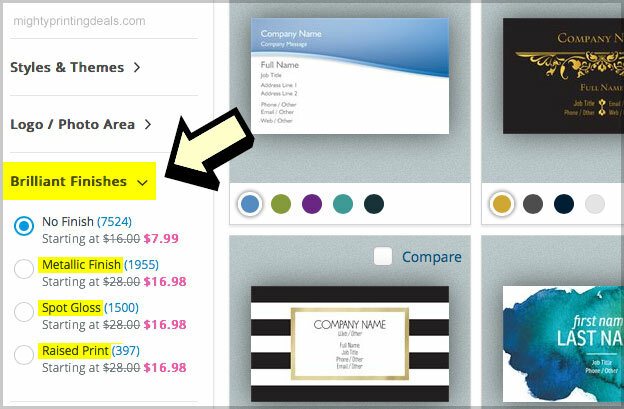 Vistaprint has folded card options that give you the space you need to increase your value in the marketplace. We are always on the search for the cheapest products on the market, but the last word you want to be associated with in business is “cheap.” In fact, every day hundreds of people search for “free business cards” on Google. I have to wonder who is buying them, and for what purpose? Trying to save money by printing your cards on inexpensive flimsy business card paper stocks may be costing you more money than you think–and diminishing the quality of your brand. Your business cards reflect you: cheap-looking business cards cheapen your professional image, and some free business cards even have the company’s logo on the back; yikes! 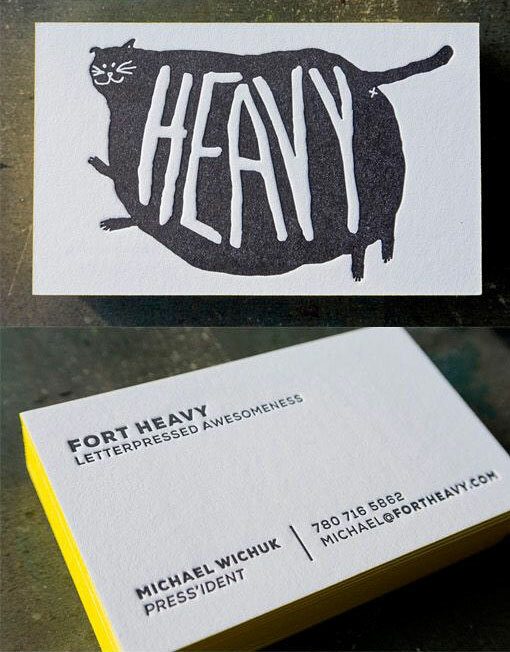 The very weight of your business card paper has an impact on the way you’re perceived. If you want to leave a positive impression on potential clients, choose a solid and professional template on top-quality paper stock to show that your business is well-grounded and prepared for success. 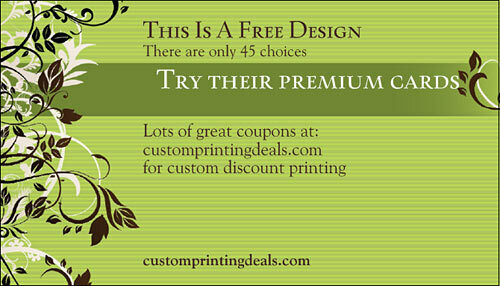 If you want to save money, choose “premium” business cards from printing services like Vistaprint, then use a coupon. Besides, by the time you pay for shipping on the free business cards, you’re not even saving that much money. There’s a big difference between being frugal and cheap; save the free business cards for dropping into fish-bowls to win free lunches! *Speaking of saving money, remember that as freelancer or independent contractor, your business cards are a tax deduction! Have you claimed your vanity URL name on LinkedIn? If you haven’t, your LinkedIn URL probably looks like a foreign language; a sequence of letters and numbers that have no meaning to others. Create a unique LinkedIn URL that can be added to your business card. Just edit your LinkedIn profile and claim your URL within seconds. Most customized URLs will look like this, “www.linkedin.com/in/firstnamelastname.” Your LinkedIn profile says more about you than a five-minute interaction that you may have with strangers. A horizontal layout is conventional, and might ultimately be the best design option, but consider a vertical layout. It’s different, modern, and will get more attention. Remember, the goal here is to stand out from the competition! A pleasant photo immediately catches the eye, and makes your business more personal. 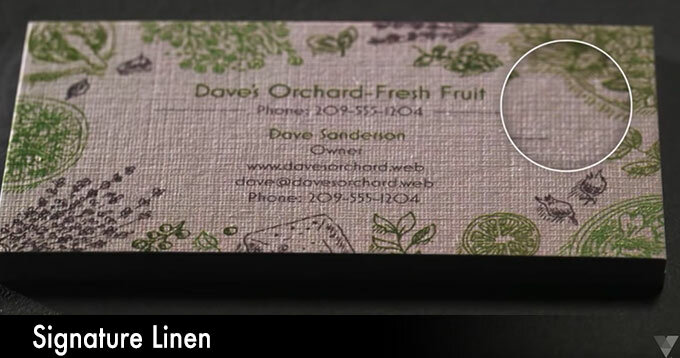 If you have taken professional business photos that capture the essence of your brand, add it to your business card. 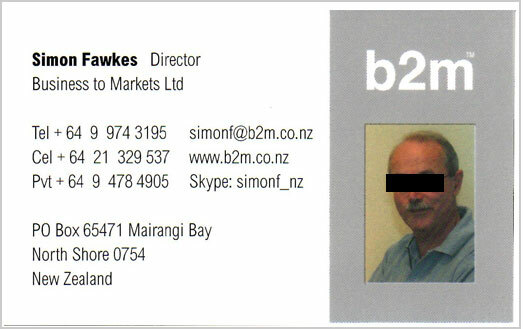 You’ll never have to worry about the business card users forgetting who you are five years down the line. Do you sell a line of products, or have an online store? Consider including a product shot on your business cards. Adding a photo to your business cards can also help establish trust, which is key in business areas like Law and Real Estate. 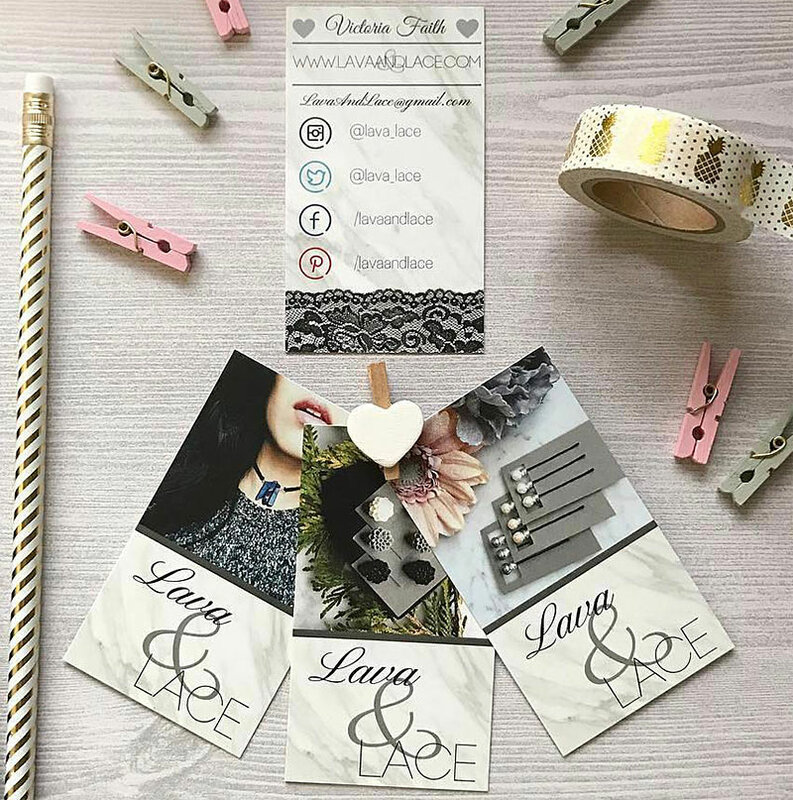 When you order your business cards from a professional site, all you have to do is pick a design template, upload your photo, and you’re ready to go! 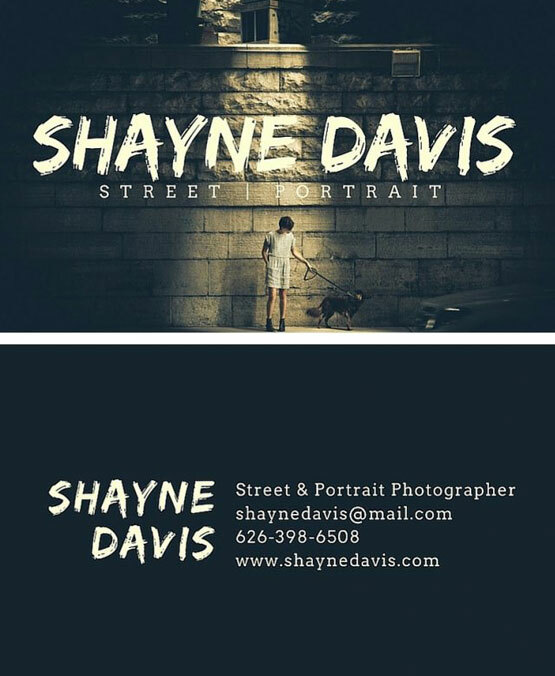 Don’t have a professional photo or just don’t want to include it on your business cards? Don’t worry. You have other options. Your company logo may not be the captivating visual that will turn eyes your way, but you can appeal to others with pictures of your products or things you love. 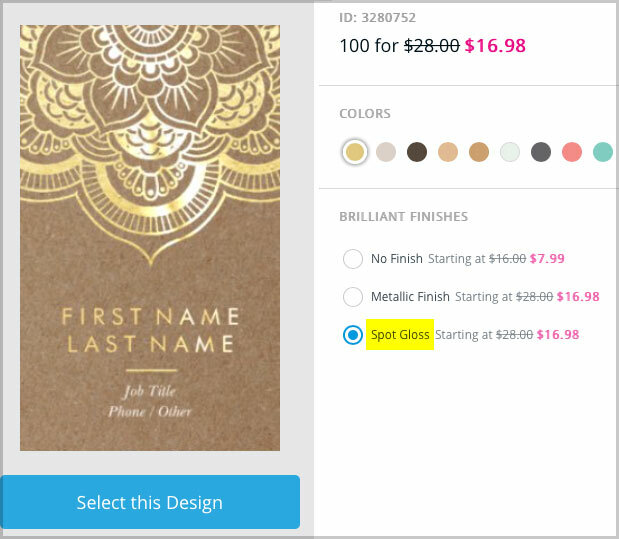 Vistaprint gives you the option to upload your favorite pictures to customize onto your card. Also, get a second and third opinion on your potential design ideas. Designs that look good to you may not go over well with others, so look for honest feedback! 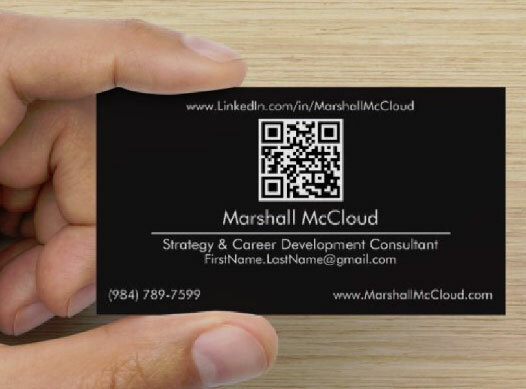 There are popular sites, such as VistaPrint.com, that allow you to create high quality business cards in less than 15 minutes. 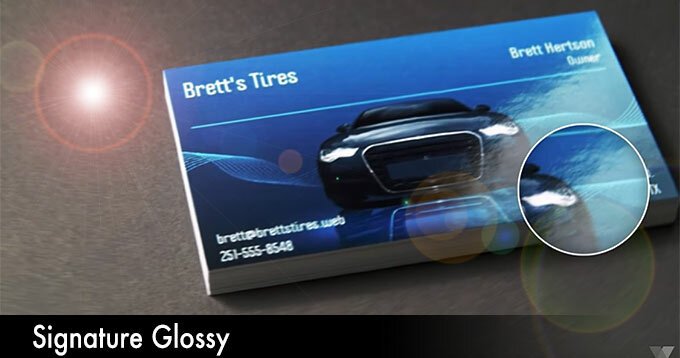 Vistaprint’s diverse selection of business card templates by industry will make yours stand out in a wallet full of other cards. This entry was posted in business cards, design inspiration and tagged business cards, design on February 1, 2018 by kevin. Business Cards Tip | Selling Something? Use Product Shots! Using product shots on your business cards: Do you sell unique products or have an Etsy store? If so, consider using high-quality, professional-looking product shots on your Vistaprint business cards. There are hundreds of design templates and design ideas out there for business cards because there are so many uses for them in every industry imaginable. They are a great little marketing tool, and you can get business cards for pennies each, especially when you use a coupon for vistaprint.com. If you sell actual products, consider featuring product shots on your business cards. Make sure that the photos are high-resolution and really sharp. If you have a friend who is an amateur or professional photographer, ask her for help, and maybe pay her in wine! This would be a great idea for a number of home-based businesses, or people who sell jewelry, apparel, accessories, or handmade goods. 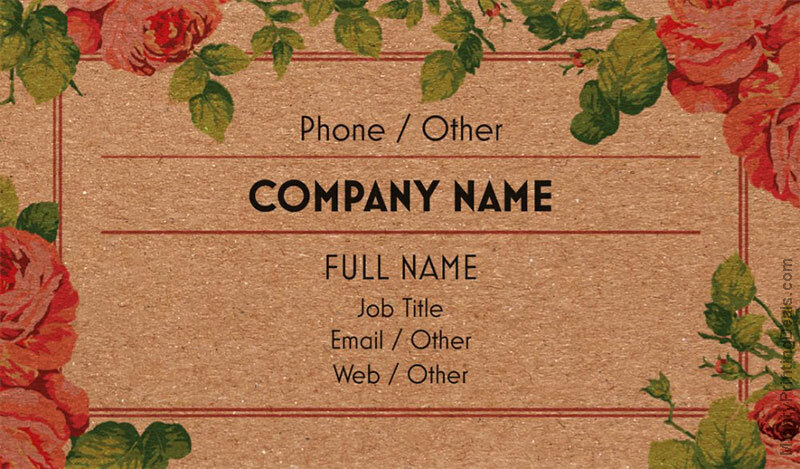 If you have an Etsy shop, these kinds of business cards might be really effective. Not only are these business cards a good idea for networking and handing out in person, but you might even make sales just by leaving them around. 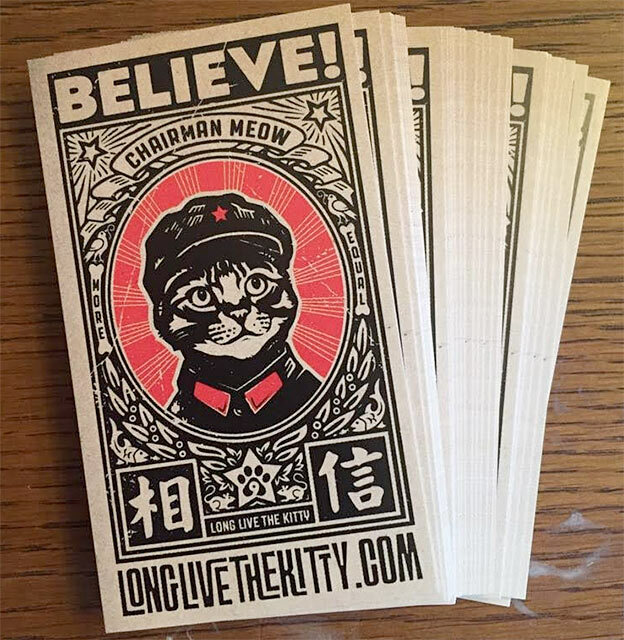 Anyone who sees beautiful or eye-catching products like these on business card might be inclined to pick one up and check out the website on their phone, or put a card in their pocket for later. You can also consider printing matching products like vistaprint postcards or banners once you figure out the business card design. If you sell your own products, you really need to invest time in social media getting fans, and updating them with new products and news. 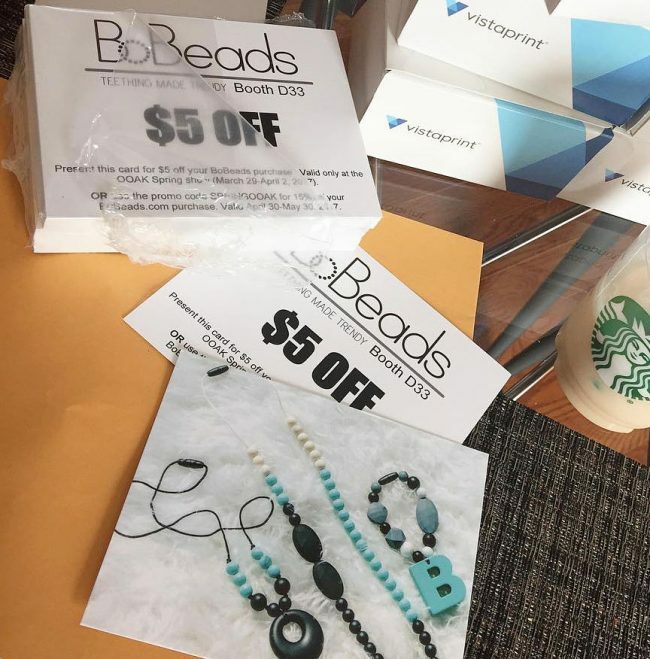 Put a photo of your business cards on Instagram, and submit to Vistaprint! 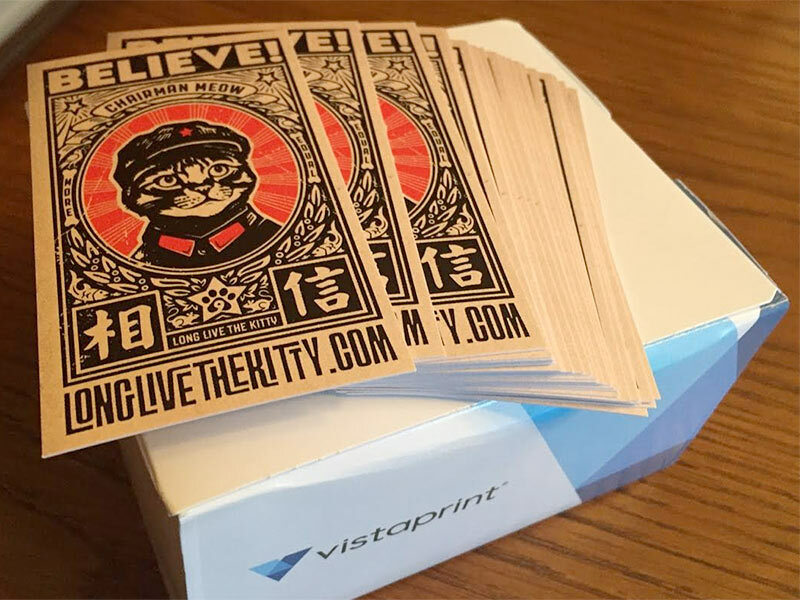 Vistaprint highlights creative uses of their products every week, and they are seen by thousands of people. If you sell products nationally, this is a great way to get even more attention with the help of Vistaprint. That happens to be where I found these sample business cards, and I even checked out the website address on the back of the cards before featuring them on this site! Why go to the trouble of designing beautiful business cards only to print them on cheap paper like you’ll get with Vistaprint’s free business card promotion? 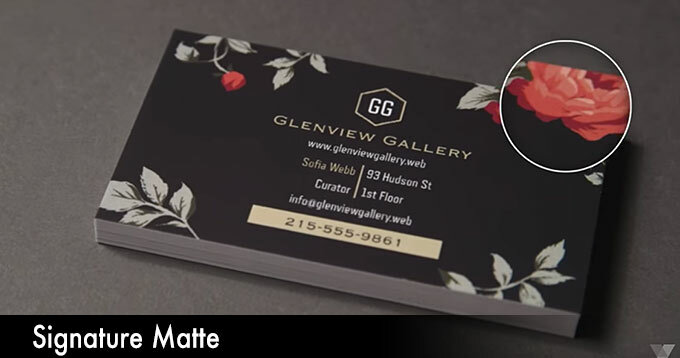 The quality of your business cards is a direct reflection of the quality of your products, so make sure you get sturdy, premium options, and consider upgrades like rounded corners, brilliant finishes, and premium cardstock. *Want to actually feel the paper stock, and see the print-quality? You can request free samples from Vistaprint. This entry was posted in business cards, tips and advice and tagged business cards, product shots on June 13, 2017 by kevin. 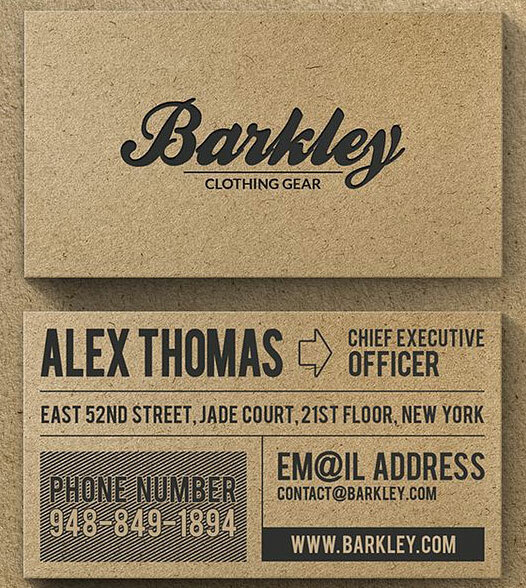 Designing business cards at Vistaprint.com? 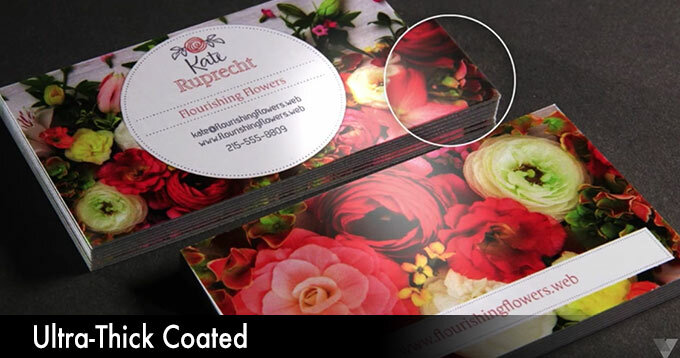 Consider Eye-catching options for business cards like Metallic Finish and Spot Gloss. Right now these finish options are included in Vistaprint’s new business card promotion, and you might even find a better discount on our coupon page! Adding shiny, eye-catching finishes to your business cards can get attention and make a lasting impression of quality and refinement. They also “reflect” well on you and your business. Want to see samples of business cards with metallic finishes and spot gloss? There are hundreds of designs that you can add these premium finishes too, so try choosing one to see the new search results. 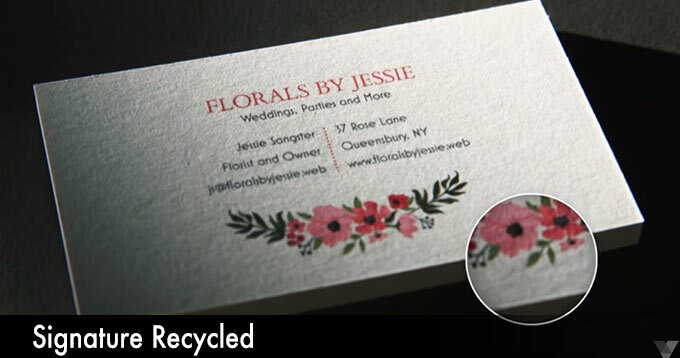 Watch as your average Joe’s are blown away by Vistaprint’s spot gloss and metallic finishes. I don’t think their lives will ever be the same. Well, I hope that stock music doesn’t get stuck in your head, but even better; I hope you find the perfect business cards with eye-catching, shiny finishes. Use a coupon to save up to 50% on spot gloss / metallic finish / raised print! Remember to always use a promo code (click it, it’s SHINY!) for up to a 50% discount! Related: How long does Vistaprint take to ship business cards? This entry was posted in business cards, vistaprint and tagged business cards, metallic finish, raised print, spot gloss, vistaprint on May 3, 2017 by kevin.